We have some fantastic lock package deals designed to help reduce the price where multiple lock changes will be required. They offer brilliant value and ensure you will have a secure home for the future without it costing a fortune. 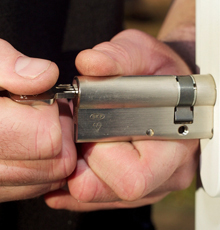 SF Locksmith packages are tailored to suit each home's different needs and specifications. Have you recently purchased a new home or are intending to? Then this package could be perfect for you. Our home moving package has been created to offer the maximum discounts available. Not knowing who else has keys to your home is a worry you should not have to have, but statistics show that over half of British residents give away spare keys to friends, relatives, builders and neighbours that are never returned. This has been confirmed by a recent survey conducted by NOP for insurer NIG. We therefore recommend that all external door locks be changed, including the garage lock, if you have one. The good news is that all locks fitted will be British Standard and exceed insurance policy needs . We can go through your policy and explain the terms used by insurance companies to help you to understand their requirements. We can also replace any missing window handles that do not come with keys, a common issue in our experience. Because of the potential multiple lock changes required we can offer exclusive discounts only available for new home owners. To find out more about this superb package, please contact SF Locksmith immediately! Lock snapping has become a serious problem in the Rotherham area! This excellent package is to change all the external locks if you have euro cylinders fitted to your doors. The locks that are fitted to uPVC and some composite, wood and aluminium doors is called a euro cylinder. Unfortunately there is a weak point within the structure of this lock and with a little knowledge this weak point can be attacked by a method known as "lock snapping". Our snap proof lock package has been put together to help home owners change their existing locks over to these high security snap proof alternatives. These high security euro cylinders also offer resistance to picking, drilling and bumping making them a very good exchange. The cost to replace three euro cylinders will be £150 in total. Additional cylinders are priced at £35 each and all come with 3 keys. Extra keys can be cut for you at the time of fitting helping to reduce any inconvenince. A small price to pay to secure your home and possessions for the future.